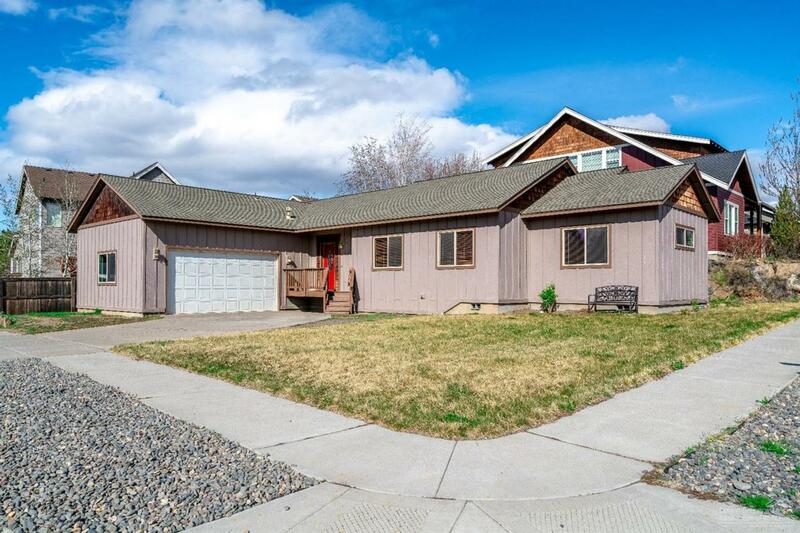 Wonderful single level home located on a large corner lot in the Summer Meadows neighborhood in NE Bend. This home features a vaulted ceiling finished in knotty pine in the living room, and a gas fireplace with custom juniper mantle. Kitchen features a Jenn-Air gas stove/oven, granite tile counters, cherry wood cabinets and wood-laminate flooring. Spacious master bedroom, 9' ceilings and a large 2-car attached garage with 12' ceilings. Good size driveway with RV parking for a small RV or boat. Turn key!